If you have no skin in the game, should you be in the game? This is taken from an upcoming issue of my weekly newsletter, Something To Sleep On. Please sign up here to receive a free copy in your Inbox each Sunday. Are you responsible for your own actions? Most people would say – of course! But what happens if you’re free to make decisions, to take actions, without suffering the consequences? What does this do to the very meaning of responsibility and accountability? Let’s think about this from a business perspective. Our country was founded on the principle of individual accountability. The very idea of entrepreneurship embodies the concept of taking risks and reaping the rewards of those risks … or suffering the consequences if things go wrong. The farmers, the craftsmen, the shopkeepers, the manufacturers that were the backbone of our economy for much of our history, understood this. Some succeeded. Some failed. But they were keenly aware that the risks they incurred were theirs. They understood the concept of skin in the game. And true entrepreneurs understand this today. And their employees understand it too. They know that if they do a good job they will be rewarded. If they don’t … well … they might end up without a job or, at the very least, in job that goes nowhere. They understand that their skin in the game is the commitment they make every day, of their labor, their time, their knowledge and human capital, to do the best job they can do. The direct relationship between actions and consequences is a fundamental principle. This is something we teach our kids from the time they can grasp basic concepts. This is something we assume (or should assume) in our daily lives. A mortgage company sells highly risky mortgages and almost immediately sells the paper, shifting the risk to someone else, to someone who was not involved in the original “sell decision”. Outstanding credit default swap amounts reach $62.2 trillion by the end of 2007 with no required reporting of transactions to a government agency and the assumption of a systemic risk that extends well beyond the original decision makers. Big banks and even a car company (remember the ones “too big to fail”) are bailed out at least in part as a result of bad decisions, thereby shifting the consequences of those decisions to others. Former US Treasury secretary Robert Rubin received more than $120 million in compensation from Citibank in the ten years preceding the banking crash of 2008. Corporate CEOs command extraordinarily high salaries and bonuses (with a median CEO pay ratio of 140 to 1, based on a recent survey of 356 public companies by Equilar) regardless of the company’s performance, thereby shifting the consequences of their actions to others. And even if they don’t survive in their current positions, more often than not they walk away with very rich “golden parachutes”. Meanwhile, the rank-and-file members of the company, and the shareholders, struggle to survive. On the non-business front, members of Congress routinely pass laws that impact others but exempt themselves, or send our young men and women to war without having to worry about their own children. These examples may be exceptions. Indeed, most of us live our lives every day keenly aware of the personal consequences of our decisions and actions, in both our businesses and our personal lives. And that’s as it should be. 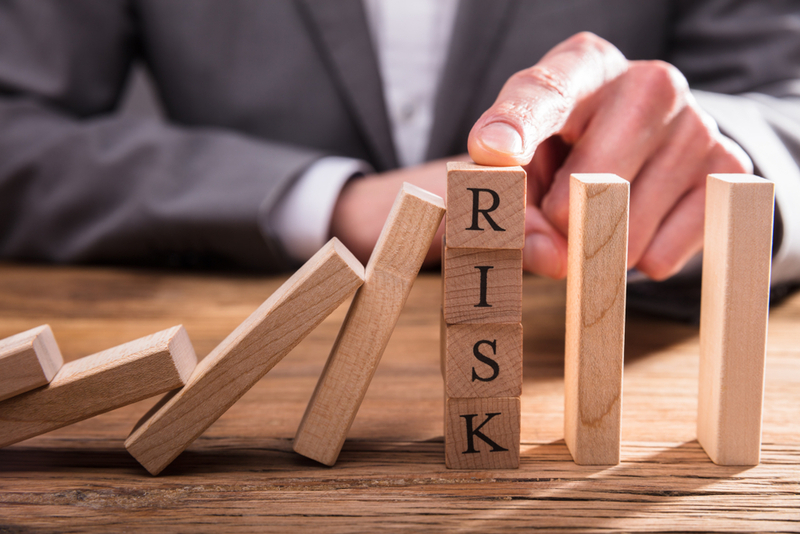 But when there is a separation of risk from consequence, especially when the stakes are so large, it tears at the fabric of what makes us great. In my coaching of leaders and helping companies thrive over the past three decades, much of my focus has been on understanding the direct links between risk and reward … and learning how to leverage these links to one’s advantage. I continue to believe this is sound advice. Those who know me know that I have been a fan of Taleb for years. Check out his fifth book, Skin in the Game. It is a natural extension of his earlier books, including The Black Swan. Taleb’s writings don’t come without controversy, and I don’t agree with all of his positions. But I always find him thought-provoking.